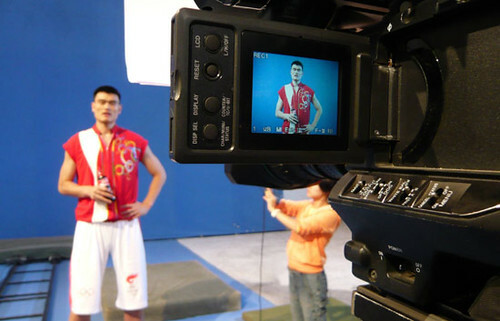 Raymond found some photos on a Chinese Web site that were taken on the set for an Olympic Coke commercial featuring Yao. Click here for more photos from the set. Below is a video of the commercial (click the little ‘play’ button in the lower left-hand corner). Yao appears at the very end of it. Note: the video is hosted in China, so for those of you watching it in the U.S., it may take awhile for the whole thing to load. This entry was posted on Tuesday, May 13th, 2008 at 12:48 pm	and is filed under 2008 Beijing Olympics, Spokesperson. You can follow any responses to this entry through the RSS 2.0 feed.